Robert P. Myron, Chief Executive Officer of James River Group Holdings, Ltd. – since January 2018, Mr. Myron has served as our Chief Executive Officer, a position he had previously held from October 2012 to September 2014. Mr. Myron has served as a director since December 2010. Mr. Myron has held several other executive positions within the company, including President and Chief Operating Officer from September 2014 to December 2017 and Chief Financial Officer from June 2010 until September 2012. Prior to that time, Mr. Myron served as Senior Vice President, Treasurer and Chief Risk Officer of The Hanover Insurance Group, Inc., a property-casualty insurance company, from 2007 until 2010, and before that, as Executive Vice President and Chief Financial Officer of Argo Group International Holdings Ltd., an insurance and reinsurance company, from August 2007 to October 2007. Prior to that, Mr. Myron was Executive Vice President and Chief Financial Officer of PXRE Group, Ltd., a property reinsurer, from 2005 to August 2007, and before that, served as Treasurer from 2003 to 2005. Prior to PXRE, Mr. Myron was the President of Select Reinsurance Ltd., a privately-held Bermuda-based property-casualty reinsurer, from 1999 to 2003. Mr. Myron received his B.S. in Accounting and his B.A. in American Studies from Babson College. He also holds the Associate in Reinsurance designation and is a Certified Public Accountant. Sarah C. Doran, Chief Financial Officer of James River Group Holdings, Ltd. – Ms. Doran has served as our Chief Financial Officer since January 2017. Ms. Doran previously served as Senior Vice President, Strategy, Treasurer and Investor Relations at Allied World Assurance Company Holdings, AG, a specialty insurer and reinsurer. She joined Allied World from Barclays where she was a Director in the Financial Institutions Group, responsible for executing strategic transactions including mergers, acquisitions and divestitures and capital raising for the insurance and reinsurance industry. 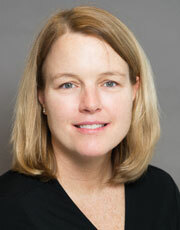 Prior to Barclays, Ms. Doran was a Vice President in the Financial Institutions Group at Lehman. Ms. Doran received an MBA in Finance and Economics from the Booth School of Business at the University of Chicago and a BA in Government from the University of Notre Dame. 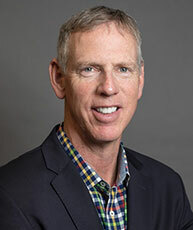 Kevin B. Copeland, Senior Vice President, Finance, & Chief Investment Officer of James River Group Holdings, Ltd. – Mr. Copeland has served in his current position since May 2017, and is responsible for the oversight of the group’s investor relations, treasury and investment functions. Mr. Copeland previously held the position of Chief Financial Officer of the group’s reinsurance company, JRG Reinsurance Company Ltd., from September of 2014 to May 2017. Prior to joining JRG Re, Mr. Copeland was Chief Operating Officer of Tokio Solution Management Ltd, a subsidiary of Tokio Marine Group which focuses on the facilitation of Insurance Linked Securities (or “ILS”). Prior to his time at Tokio, Mr. Copeland was Chief Financial Officer of Argo Re Ltd, a Class 4 Bermuda (re)insurance company, and prior to that was an Investment Analyst with Tewksbury Capital Management Ltd, a large multi strategy hedge fund. Mr. Copeland started his career with KPMG. Mr. Copeland is a Chartered Professional Accountant (Canada) (CPA), a Chartered Financial Analyst (CFA) charterholder, and holds a Bachelor of Commerce from St. Mary’s University. 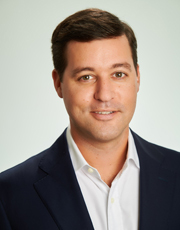 J. Adam Abram, Non-Executive Chairman of James River Group Holdings, Ltd. – Mr. Abram has served as Non-Executive Chairman of the Board since January 2018. Previously, Mr. Abram was Chief Executive Officer and Executive Chairman of the Board from September 2014 through December 2017. Mr. Abram served as our Non-Executive Chairman of the Board from October 2012 through September 2014, and before that, Executive Chairman of the Board from December 2007 to September 2012. Mr. Abram also previously served as our Chief Executive Officer from December 2007 through March 2008. Prior to this, he served as the Executive Chairman, President and Chief Executive Officer of James River Group, Inc. from its inception in 2002 through 2007 and from March 2008 until October 2012 (during which time he periodically served in different roles at various operating units). Mr. Abram was also a founder of James River Group, Inc. Mr. Abram served as lead independent director of the Yadkin Financial Corporation, a bank holding company, ("Yadkin"), from July 2014 until its acquisition by F. N. B. Corporation in March 2017 and, prior to that, as the Chairman of the Board of VantageSouth Bancshares, Inc., a bank holding company, and its subsidiary bank, VantageSouth Bank, from November 2011 until its acquisition by Yadkin in July 2014. He also served as Chairman of Piedmont Community Bank Holdings, Inc., a bank holding company, ("Piedmont"), since he co-founded it in 2009 until it was also acquired by Yadkin in July 2014. Mr. Abram received his B.A. from Harvard University. Bryan Martin- Mr. Martin has served as our lead independent director since December 2014, and as a director since December 2007. Mr. Martin is a managing director of D. E. Shaw & Co., L.P., a global investment and technology development firm, and head of the D. E. Shaw group’s U.S. growth and buyout private equity unit. Prior to joining the D. E. Shaw group in 2005, Mr. Martin served as a partner at J.P. Morgan Partners, LLC, a private equity division of JPMorgan Chase & Co., from 2003 until 2005. Before that, he was a partner at the Beacon Group, LLC, a private equity, strategic advisory and wealth management partnership, and co-manager of Beacon Group Energy Investors II, LP. Mr. Martin began his career as an equity analyst at Fidelity Investments, a diversified financial services company. He received a B.A. in history from Yale University and an M.B.A. from Northwestern University. Jerry R. Masters- Mr. Masters has served as one of our directors since December 2014. Mr. Masters is a private investor. From 1991 to 2000, Mr. Masters held various executive positions within the financial organization at Microsoft Corporation, last serving as Senior Director, in which role he was responsible for external and internal financial reporting, budgeting and forecasting. From 1980 to 1991, Mr. Masters worked in the audit department of Deloitte & Touche LLP. From 2005 until August 2014, Mr. Masters served on the board of directors of TransMontaigne Partners LP, a terminaling and transportation company, and has served on the board of directors of Sandhills State Bank since 2010. Mr. Masters holds a B.S. in business administration from the University of Nebraska. Michael T. Oakes- Mr. Oakes has served as one of our directors since December 2007. Mr. Oakes has served as the President of Conifer Group, Inc., a consulting company, since February 2011. Prior to this, Mr. Oakes served as Executive Vice President of the Company from June 2010 until his retirement in January 2011. From December 2007 through June 2010, Mr. Oakes served as our Chief Financial Officer, and from March 2008 through June 2010, he served as our Chief Executive Officer. From 2004 through 2007, he served as Chief Financial Officer of James River Group and from 1998 until 2004, Mr. Oakes was a Managing Director in the Insurance Investment Banking Group at Keefe, Bruyette & Woods, Inc., an investment banking firm based in New York. Mr. Oakes received a B.S. in business administration with a concentration in accounting from the University of North Carolina at Chapel Hill and an M.B.A. from Harvard Business School. Janet Cowell- Ms. Cowell has served as one of our directors since May 2016. Ms. Cowell is the Chief Executive Officer of Girls Who Invest, a non-profit organization dedicated to increasing the number of women in portfolio management and executive leadership in the asset management industry. Previously, Ms. Cowell served as Treasurer of the state of North Carolina from 2009 through 2016 and served as a member of the North Carolina State Senate from 2004 to 2008. Prior to that, she served as a member of the Raleigh city council from 2001 to 2004, and before that she worked as an independent business consultant with Sibson & Co. and a securities analyst with HSBC Bank and Lehman Brothers. Ms. Cowell has served as a director of ChannelAdvisor Corporation since 2016. Ms. Cowell received a B.A. from the University of Pennsylvania, an MBA from the Wharton School of Business and an M.A. from the Lauder Institute. Ms. Cowell is also a level 1 CFA. Ollie L. Sherman, Jr.- Mr. Sherman has served as one of our directors since May 2016. Mr. Sherman retired as a Managing Principal with Towers Watson in 2010. At Towers Watson, Mr. Sherman functioned as a consulting actuary and practice manager for the company’s property and casualty division for over 25 years. Prior to joining Towers Watson, Mr. Sherman was employed by the Travelers Insurance Company for ten years where he had overall responsibility for countrywide workers’ compensation pricing. Mr. Sherman graduated from the University of Virginia with a B.S. in applied mathematics, and he is a Fellow of the Casualty Actuarial Society and a Member of the American Academy of Actuaries. David Zwillinger - Mr. Zwillinger has served as one of our directors since December 2007. Mr. Zwillinger is a Managing Director of D. E. Shaw & Co., L.P. and a member of the D. E. Shaw group’s U.S. growth and buyout private equity unit. Prior to joining the D. E. Shaw group in 2005, Mr. Zwillinger was an associate at J.P. Morgan Partners, LLC. Prior to that, he was a member of the mergers and acquisitions group at Merrill Lynch & Co., Inc., a global securities and financial services firm. Mr. Zwillinger graduated from Rutgers College with a B.A. in economics and earned a B.S. in finance from Rutgers Business School. Christopher L. Harris - Mr. Harris has served as one of our directors since November 2018. Mr. Harris was CEO and President of Montpelier Holdings, Ltd., a property and casualty reinsurer, from 2008 until its sale to Endurance Specialty Holdings, Ltd. in 2015. In addition, Mr. Harris served as Chairman of the Board for Blue Capital Reinsurance Holdings from 2013 until 2015. Prior to his appointment as CEO and President at Montpelier, he held the positions of Chief Underwriting Officer, Chief Risk Officer and Chief Actuary at the company. Earlier in his career, Mr. Harris served as Chief Actuary for a reinsurer and managed the risk advisory practice for a large accounting firm. Mr. Harris graduated from the University of North Texas with a BS Degree in Mathematics with Honors and obtained his MBA in Financial Management from Northcentral University. He is also a Fellow of the Casualty Actuarial Society and holds the Chartered Financial Analyst and Chartered Property and Casualty Underwriter designations. Sundar Srinivasan - Mr. Srinivasan has served as one of our directors since November 2018. Mr. Srinivasan founded Emerald Lake Safety after a wide-ranging career in investments and business. He was formerly a Portfolio Manager at Elliott Management, a $35bn+ global investment fund where he worked extensively in both private equity and public securities. Mr. Srinivasan has extensive experience in investments and multiple areas of the financial services industry. Mr. Srinivasan has chaired or served on numerous public and private company boards, including Blue Knight Energy Partners (NDX: BKEP), DICE (NYSE: DHX), Answer Financial and James River. Prior to Elliott, Mr. Srinivasan was a Vice President in the Investment Banking Group at Morgan Stanley and a Management Consultant at Oliver Wyman. Richard Schmitzer, President and CEO of the Excess and Surplus Lines Division– Mr. Schmitzer has served as the President and Chief Executive Officer and a director of our subsidiaries in our Excess and Surplus Lines segment since March 2010. 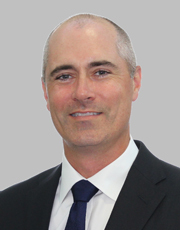 He joined the James River Insurance Group in July 2009 as Senior Vice President and Chief Underwriting Officer. Prior to that, Mr. Schmitzer served nineteen years at the Scottsdale Insurance Company, a subsidiary of Nationwide Mutual, where he served in a variety of underwriting and underwriting management roles, most recently as Vice President of Brokerage, Professional Liability and Programs. Mr. Schmitzer received his B.S. in Business Administration from Central Michigan University. Terry McCafferty, President and CEO of the Specialty Admitted Insurance Division – Mr. McCafferty has served as President and Chief Executive Officer of our Specialty Admitted Insurance segment since joining the Falls Lake Insurance group in October 2018. Prior to this, he served as Head of Group Captives and Alternative Risk at Zurich, from 2015 to 2018. Prior to that, Mr. McCafferty served as Chief Operating Officer at Zurich Programs and Direct Markets, from 2006 to 2015. From 2000 to 2006, Mr. McCafferty held multiple Vice President positions at Farmers Insurance Group, including Finance Operations, Corporate Planning and P and C Operations. Prior to that, Mr. McCafferty served as Assistant Vice President at Zurich Personal Insurance, Recreational Products, from 1998 to 2000. Mr. McCafferty began his career in 1985, working in Audit at Ernst and Young. He’s also worked at Great American Insurance in Internal Audit, Financial Reporting and Product Management. Mr. McCafferty received his MBA in Finance from Xavier University and B.A. in Finance and Accounting from Miami University. Daniel Heinlein, President and CEO of the Casualty Reinsurance Division– Mr. Heinlein was promoted to President and Chief Executive Officer of JRG Reinsurance Company Ltd., our subsidiary engaged in the casualty reinsurance business, in April of 2018. He most recently held the position of Vice President of Underwriting for JRG Re. Mr. Heinlein joined JRG Re in June of 2012 from Willis Re Inc. where he produced and serviced US property and casualty treaty reinsurance accounts. Mr. Heinlein is a graduate of Appalachian State University with a Bachelor of Science in Business Administration with majors in Finance and Banking, and Risk Management and Insurance.